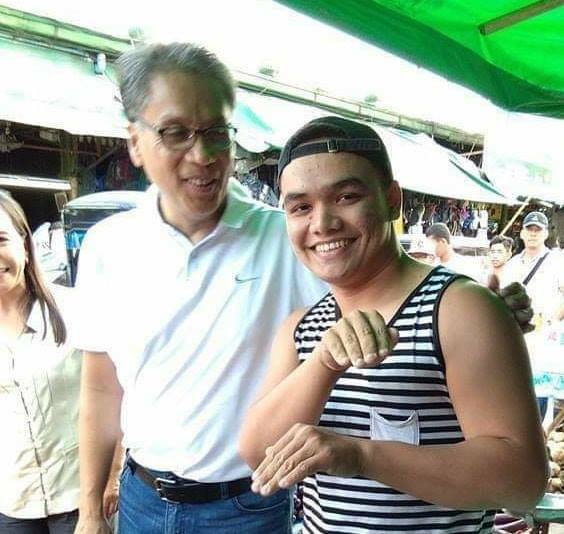 An unidentified concerned netizen is now making the rounds online and made instant popularity for himself on social media after his hand signal photo with Mar Roxas made the rounds online. The controversial photo first appeared in the Facebook Page of RJ Nieto or Thinking Pinoy which has more than a million followers. 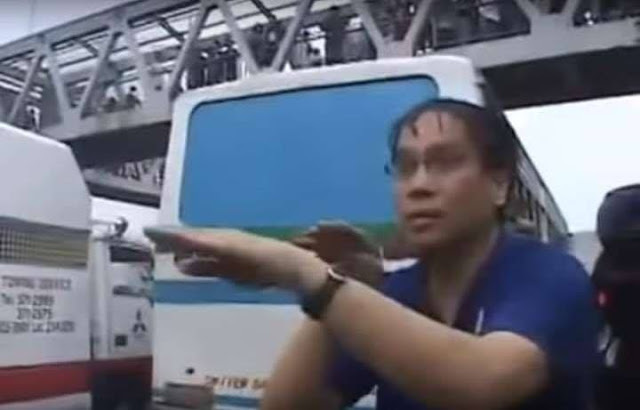 The photo seems to ridicule Mar Roxas as the netizen copied the hand gesture of Roxas in the viral video showing him manning the traffic in EDSA. The viral photo showed Mar Roxas greeting the netizen with a tap on the shoulder and the netizen responded with the popular Mar Roxas traffic signal hand gesture. The traffic signal hand gesture of Mar Roxas made headlines during the past few days that resulted in various memes on Facebook. One of the personality who popularized the traffic signal of Mar Roxas is fellow senatorial bet Atty. Larry Gadon who made a series of videos and one of his "Hindi Bobo" viral vides was his own version of the Mar Roxas traffic signal. Eahna Olabani: Gets nya actually pero sinakyan nya lang para hahangaan xa ng tao.. Ssssush kung maka strategy si mar. YOLANDA Funds left the group. Neil Dela Cruz: Gets nya yan TP. For the sake of pakitang tao, syempre kelangan ng boto hindi yan magrereklamo or magpapakita ng pagkainis. Plastic eh. Jason Ocampo: Salamat po! Sa litratong ito, pinakita mo na isa kang tunay na may puso sa kapwa mo pilipino. Isa kang ehemplo. Kuyang nakasando. Jen-Jay Bollozos: Look how he puts his fingertips at the shoulder of the guy, he can’t even put his whole hand relaxed. Kevleb Pacis: Lao respect this guy give him a medal of valor... hahaha yung pinaplastik ka na pero nakangiti ka pa rin. John Aaron Dedicatoria: Solid yung signal ni kuya hahaha. Hindi na nakapalag si Marbobo. Israel Centina Garnado: Yong binastos ka harap harapan kaya lang nsa madla ka maraming camera kaya inactivate mo nalang yong plastic mode guard ON.